Fresh fish and seafood for sale at Mercado Central de Santiago, Chile's central market. 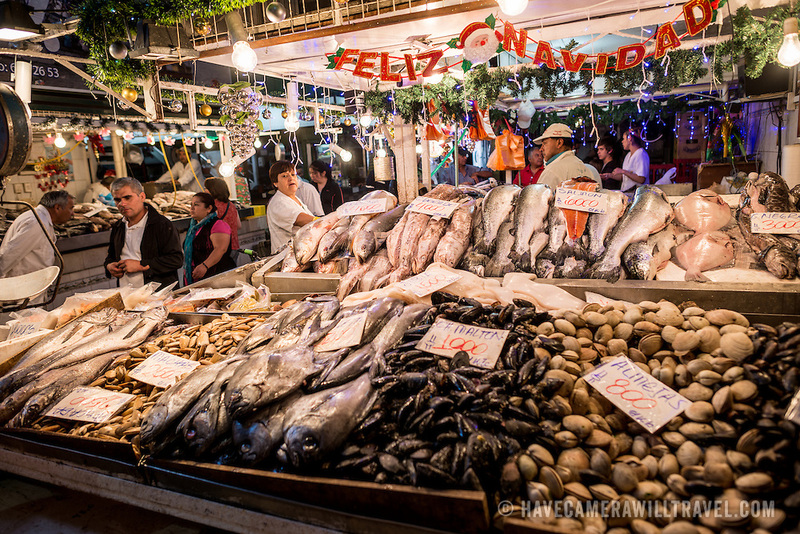 The market specializes in seafood, a staple food category of Chilean cuisine. The building is topped with an ornate cast-iron roof.